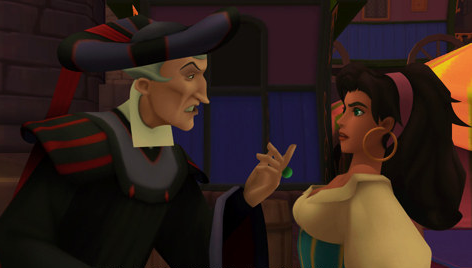 I think they look great too, I am particularly impressed by how awesome Frollo looks. I think they look great, and I’m really glad that “Hunchback” finally got some recognition in the Kingdom Hearts series. And I hope this isn’t the last time, because the absence of Clopin and (apparently) Djali really gets my goat.